If clicking links isn’t your thing, then don’t worry because I’m about to select the choice quotes.. ok..
1. 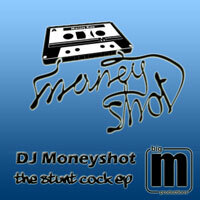 All that shenanigans aside, what Moneyshot delivers here is a three track gem showcasing his canny knack for marrying a killer hook and up-to-date funky breakbeat production. Posted in news, What else? So, who knows Ninjamixdump? If you don’t, it a free service where you can .. guess what… dump mixes. Well, it’s earned quite a following over it’s two year existence and to celebrate it’s second birthday it was decreed a monster mix was to be created from the 4,500+ strong archive of tasty tablism, mad mixology and wonky wrongness. Happily, Remdog’s monster V.52, made it onto the final mix. Tom Central, aka Tom M, the man whose track 64 Wobbles from Hillbrook Road kicked off the third 64 bar challenge mix has a new remix out today. In true solidarity style, we’re linking to it. Friday Night (remixed) by The Leisure Allstars feat Lady Chann on MP3 and WAV at Juno Download. Herma Puma – Juno Records. We thought we’d point your ears towards this little number.. why? Well one, Mr Pimpernel Jones, a 64bar man of honour is half of Herma Puma, and secondly, Juno records has this in the top 5 hip hop releases of 2010.